I’m sure thanks in part to the amazing Disney advice that so many of you offered here and on your own blogs. Minus the stroller recommendations that 800,000 of you insisted on. Thank you ever so kindly but didn’t want one, didn’t need one, was delighted not to have one. Eh, I have city kids. They’re good walkers. Now back to the loving Disney part. Here’s the thing. You go to a theme park, don’t expect to be backpacking through Eastern Europe. There are gift shops at every turn, caloric desserts the size of your head, crazy bachelorettes stumbling around in white mouse ears and veils, lazy but able-bodied people riding those motorized thingies for no good reason, long lines you must wait on to do things you will enjoy to varying degrees, and…yes, princesses. As Annie prepared me for last week, your daughter will simply be a princess while she’s there and that’s that. The monorail captain will say “all aboard, Princesses!” The waiter will ask, “and for the Princesses?” And the ride operators will caution, “watch your step, Princess,” even as you’re boarding the Buzz Lightyear Space Ranger Spin wearing nothing remotely sparkly, pink, or floor-length. I asked Thalia how it made her feel to be called Princess everywhere. And I think for four days out of the year at Disney World, why the heck not. Go ahead and be a Princess in your head for four days in sight of that big, iconic castle. Imagine that you live there and that you can go on rides every single day of your life and have dessert after every meal. Live a little, kid. Because back home you have to clear your dishes and do your math homework. You might be surprised to hear me say this, what with my avowed discomfort with the princess phenomenon and a culture that urges girls into sparkleland without a say in the matter. I’m not anti-princess. I never have been. I’m just pro-choice. Which is true. Why couldn’t he ask a less gender-biased question? Here’s why: Because when we get out of the van, he’s on his knees, pulling a roll of giant princess stickers out of his pocket and offering them one. And when they couldn’t pick just one…he offered them each two. Which makes me kind of a jerk. Of course I’m lucky that my kids are pretty laid back about the princess thing. They are not obsessed in the least, and I’d like to think that Nate and I had a little something to do with that. 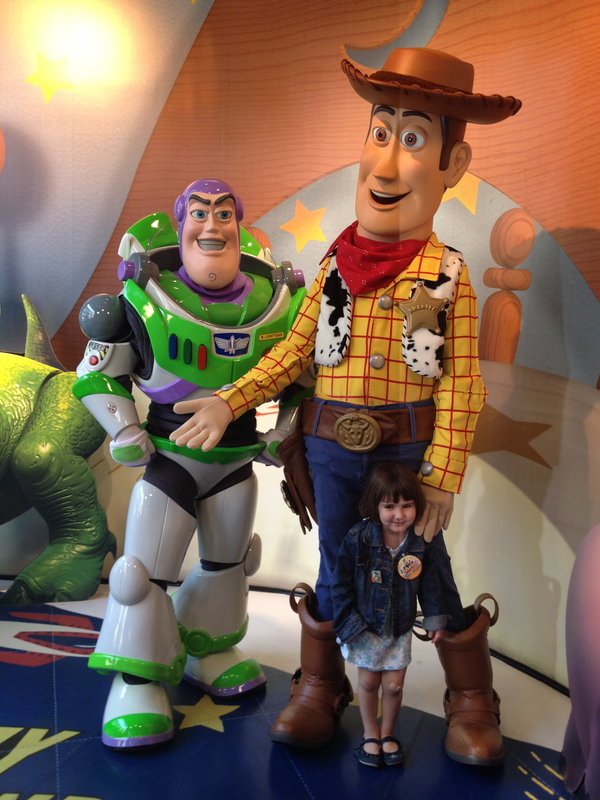 They have their favorites of course, but they have other favorites too; I’ve never seen Sage so excited in her life, as when it was her turn to have her picture taken with Woody from Toy Story. She jumped up and a down like a crazy person, and hugged him like she’d never let go. It may have been one of the most memorable moments of the entire trip. I’m also delighted to say that when the girls were allowed to choose one toy for the trip, Sage went for Ponyo and Thalia chose Gigi the kitty. Nate was never so satisfied with his own parenting abilities as he was at that second. Of course the girls were equally excited to get photo ops with Cinderella, Aurora, Ariel, Snow White, and Belle at the Cinderella’s Castle luncheon, which–worth every penny even if the food was meh. (Although wah, no Tiana who’s my favorite because, as Thalia says, “she works hard.”) And I’m proud to say that in a sea of little girls dressed in their Chinese-made polyester finest, their hair dipped in sparkles, heat curled, and sprayed to within an inch of oblivion, my girls felt right at home at that luncheon in their regular park clothes. This delighted her so much, she came back to our table twice to see it again. I also think that partly why my girls felt so special is because they had four uninterrupted days with their parents. That’s not a small thing to overlook. I guess my perspective is that imagination, fantasy and creativity in pretty much any form is amazing for kids. If that includes princesses from time to time, so be it. As long as that’s not the only choice. As long as they can be pirates and astronauts, teachers and flower sellers, chefs and artists and farmers and zoo animals too. As long as they can pick the pink LEGOS or the blue LEGOS and not have some retailer tell them just which one is only for girls. Of course it all led to a great discussion later in our hotel room, in which we told Thalia and Sage that it’s okay to be strong, smart, hard-working and still dream of to marrying a prince. Which is why I love him. You can also head to Cool Mom Picks to see my very common sense tips for enjoying a Disney vacation. Feel free to add your own. It looks like they’ve got just the right balance. What a wonderful trip! I’m with you on that Bibbidy Bobbidy Boutique – whoa! What a great sounding trip! 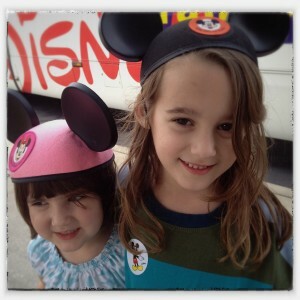 I can’t wait until my girls are old enough for Disney (youngest is less than 2). Wait til four! Trust me! I am sort of anti-princess. I have two girls under two so it is yet to be determined how hard a stand I take. But this post reminds me that when I was sixteen I went to Disney World with the marching band. Me and my three friends spent every second trying to find prince charming, we finally did find him and he told us “Sorry, I am on my break!.” We were unimpressed. But it was fun even then pretending to be a 6 year old princess. And I still came out a feminist. Mom101 recently posted..Not anti-princess, just pro-choice. We “did” Disney a few years ago (yes, even the Bibbity Bobbidy Boutique, though I rationalized that it was before we headed to the Halloween party at the park in the evening, so there was a good reason to be “in character”). We had around a 9-day pass which was way, way, way, way too long. My proudest parenting moment is that Epcot was my kids’ favorite park—by far—and not one of them shows any interest in ever returning. If there is one thing Disney taught them is that there is a big world out there: full of “France” and “Italy”, safaris and movie sets. . .and maybe they should just go and see the real things someday. I’m glad you didn’t kill Nate while waiting in lines. I was a little worried you’d push him out of the monorail if he complained too much. Nate also said that nothing made him want to travel more than Epcot. Maybe more American should go to Disney, after all! And he was great about the lines. Mostly because we hardly waited in any. Whoever urged us to get to the park first thing (see also: the castle photo up top with NO ONE around)–thank you. Thank you for this. I feel reassured I will make it out of the princess love phase mostly unscathed. My daughter will one day be awestruck at the site of the infamous castle. She will most definitely believe she’s a princess. And she will be beside herself to see the real Aurora. But I think she’d be just as ecstatic to see the real Darth Vader…so I think I’ll be okay. I’ve been pulling against the DisneyWorld tractor beam for years, for the fears you mention above. You give me hope that once I succumb (and I know I will), all will not be lost….except my bank account of course. Oh yeah. Magic doesn’t come cheap. But why must you succumb? It’s not inevitable. I will never pay $2k, or whatever it is, for something like that. And it’s not just the princess thing. So you either secretly want to do it and are just waiting for the time when you’ve protested enough that you can succumb gracefully. Just admit you want to go, then, if that’s the deal. Oh Lisa, I think Shannon was just being cheeky. And yes, nothing is “inevitable” but one thing I’ve learned about parenting–never say never. It may have been the happiest I’ve ever seen my kids, ever. That’s worth more than $2k to me. This is very much how I feel about it. I don’t have a problem with my daughter enjoying princesses I just want her to really be free to choose, and to have a strong sense of self and independence. And being able to take care of yourself doesn’t mean you can’t also want to find someone to share your life with that you want to take care of and be cared for, that person that sweeps you off your feet emotionally. I love this post, and as a lesbian, I also really love your husband’s addition of it being find if they want to be with a prince or a princess. I had to share this. I am a huge Disney believer, and you have put into words why. Awesome to read. Thanks! oh I love you and Nate too! Exactly what I want for my three girls! Lovely! Thanks! Congratulations for not only surviving Disney but unabashedly loving it. I think this sentence resonated for me the most, “I think partly why my girls felt so special is they had four uninterrupted days with their parents.” I think that says it all. It always comes down to the gift of our time that our children seem to cherish the most. 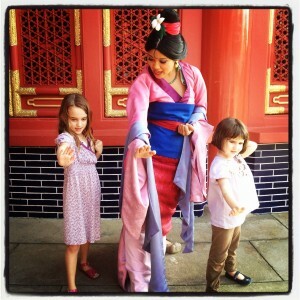 I can’t wait until my son is old enough to have as great a Disney experience as Thalia and Sage seemed to have. Amen. It was special, no doubt, but so is a weekend with us at Grandma’s, you know? When we want to Disneyland the most time–my then 3-year-old insisted on wearing her Cinderella dress all day. And I am okay with that. I, like you, am pro choice–sometimes she is a princess and other times she is a ninja or a pirate or singer, etc. She tends toward all things sparkly and comes by it naturally (as I couldn’t be less sparkly) but she balances it with digging in the dirt. I think one of our issues is that we have let society define for us what it means to be a “Princess.” I think that is something we have to define for ourselves and our daughters. Because a Princess isn’t about being passive, pretty, and helpless. A princess is about being smart, resourceful, and confident. That is the message we need to focus on–I think we could find those traits in all princess if we looked beyond the surface. Despite the comments from the crazies, she brings up some excellent issues. Ah the crazies…what would we do without them? Aren’t the whole “dress your kid up in sparkle head to toe” thing crazy? We didn’t go for that either. My girl stayed in her usual fare, too. Having a 9 year-old I can safely say that the Princess phase is in my rear view mirror. What’s up ahead is more complicated, to be sure. But now, they have a life-long fantastic memory. My parents took us to D-land when I was four and I remember it perfectly. Your girls will too. Karen recently posted..My Favorite Birthday Moment Ever. Told In One Picture. I’m going to Disney for seven days with my 3- and 7-year-old. Our first visit when my daughter was 2 was a disaster, after this post and the ones you linked to, I’m less worried and much more excited. -it’s okay to say NO. As in, no, you cannot buy crap from the gift shop. I agree completely. Besides, there’s nothing that says a girl can’t be smart, strong and independent while sporting some pink and glitter. But, as you point out, the important thing is that she doesn’t have to. And, hell, if anyone wants to treat me like a princess for a few days (or even just do my laundry) I’d enjoy the fairy tale. Wow, way to go, Nate! I’m with you on princesses and feel like the Disney trip did a good job to get it out of our systems. Sure Charlotte still plays dress up but now she is doing it as a princess she has created in her imagination instead of Cinderella or Snow White. The story is her own, the prince (if there is one) is usually someone from school. I think it helped that the princesses at Disney were not what Charlotte expected them to be. She was expecting perfection and that they’d want to spend time with her like she has spent with them. Instead they passed by in a blur signing an autograph quickly. Plus she heard her mommy and daddy get schooled by Belle at the princess breakfast because we didn’t have our pen ready for her to sign. Nothing like getting admonished by Belle. PS We decided not to do the stroller too. I was proud that my little 5 year olds never even asked to be carried. Amen, sister! 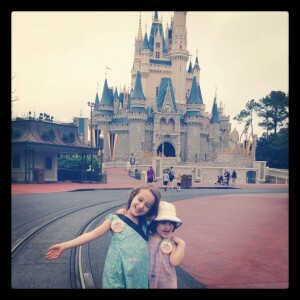 I have two daughters, 7 and just 5, and my family is avidly pro-Disney. We have done the princess thing. We have done the World Showcase thing. We have done Future World, and we’ve marveled at the ride through the Land showing how Disney grows a lot of vegetables used on property. We have lounged poolside at the resorts. We have *adored* Animal Kingdom, from the Thailand cultural hut to the safari to the animal care area, and tons of other fascinating and fun spots. The place is about so much more than princesses, and yet princesses cut across every element of WDW. For the few days that we’re there, I’m honestly fine with that. I’m confident that our girls feel special most of the time (I do ask them frequently if they know they’re awesome), but to be given the royal treatment for a few days? Come on, I love it, too. We also mire in choices at our house, with a mish-mash in the dress-up box and Legos alongside the Calico Critters. The girls are free to choose what they want to enjoy, and who am I to shut that down? Thanks for making a great point in a clearly thoughtful way. The Land was Thalia’s favorite thing at Epcot! Your kids sound cool, Liz. Last year on MLK day, a local museum had kids writing their “dreams” on an installment. Phoebe added, “I wish that everyone was a princess.” I think that’s what Disney is all about. Oh, and I’m pulling for Arrietty. This made me cry, honest to God crocodile tears. Because I feel the exact same way about my daughters & sometimes I feel like I’m so alienated or deemed a mother who is stifling her daughters because I let them run around the house with tiaras and fairy wings. It’s constantly overlooked that I let her run around in a super hero cape while she pushes her tractors and trucks along the tile floor. She loves it all & when we go to Disneyworld in May I can’t wait for her to have lunch with Cinderella. You’re not stifling your daughter if you let her wear fairy wings! Oy, do people say that? I guess just if you make that her only choice. Yes, people really say things like that! Someone once told me that I was raising my daughter in a “pink ghetto” and dooming her to a life of inferiority to men- because she loved pretty dresses, pink and purple, fairy wings, and princesses and I wasn’t stepping in to squash that. Like you, we’re pretty all-inclusive on the toy front. The child that I am supposedly raising in a pink ghetto has truly great spatial reasoning skills and isn’t too shabby in the early math skills, either. We make sure that our kids’ toys promote all the skills they might need (which, coincidentally is what my most recent post was all about). And our daughters have lots of strong female role models in their lives- starting with me- so I no longer worry about it. But if I’m completely honest, I have to admit that it still stings a little when I get the judgmental nonsense from other people. We’ve been putting off the inevitable first trip to Dinseyland, mostly because once our daughter realizes its only an hour and a half away, it will be harder to make her stop asking to go there. But I think we may cave sometime this year, since it is our last chance to go before she starts school- we can go on a completely off day. I hear from my European friends that Thanksgiving is a great day to go. I doubt we’ll do that, but we’ll probably go midweek some time. Anyway, I think we have a pretty similar approach to the princesses. The obsession is kept in check in our house by the fact that my 4.5 year old still finds most movies too scary to watch. She likes Cinderella, but has never made it through any of the other ones. Why can’t it just be ok? I’m serious. Why knock some of the other girls for wearing princess costumes? And for that matter, do you really know they were made in China? My girls have awesome princess dresses that I made for them. I spent a long time feeling defensive about my oldest’s love of Ariel and Disney princesses in general, mostly thanks to snotty remarks from other mothers (most of whom had daughters under the age of 4). I’m over it. Yes, I could give the long explanation of how my daughter loves princess and also does/plays/is interested in, but why? Doing some assumes that I’ve drunk the anti-princess kool-aid that tells me my daughter will end up irreparably damaged by Disney. She won’t. She is, like most children, both resilient and smarter than that. Yes, the pressure to divide girl stuff and boy stuff is stronger than ever, but so is every single other type of marketing these days too. And quite frankly, in an age where the four hospitals closest to my house are owned by Catholic organizations and limit my right to contraception, I think women today have much bigger issues on their plate that aren’t at all linked to so-called princess culture. (Also, having to fight for the right to contraception doesn’t change the fact that it would be oh so awesome to be a princess and not have to do the laundry, wash the floors, etc. We all know this is true.) Let’s focus on the big issues. Marketing and consumer culture overall is a real issue at a number of levels. Our society’s view of women is another. Disney by itself pales in comparison, even if parts of it (like the marketing)ht are symptoms of the larger problem. As for the next anti-princess mom who wants to give me an earful about how to raise my kid? I’ll give her one of the “mother of the year” certificates that I’m going to start handing out to the superior parenting set. See, I know it’s ok because I adored Princess Aurora as a kid, and somehow, I managed to earn a Ph.D. and a job anyhow. Funny how that works out. I’m not sure if I’m being defensive, but I think your comment is, Lisa. And I really (sorry but REALLY) hate when I (or anyone) discuss something I feel passionate about, and someone tells me to “focus on the big issues.” Gender issues are big issues. They are leading to bigger issues, and there’s increasing research that bears this out. If we want our daughters to grow up to fight for anything at all, they need to know that they are valued for their voices and not just just for their looks or their dresses, wherever they were made. I call my little girl a princess all of the time since she is my only girl. She is growing up though and will not be able to call her this pretty soon. Oh, I do this too. My older girl is still only 18 months, so all she knows about princesses are that they are “pretty AND smart.” Moreover, since I am the Queen (a title I gave myself when I had just the 3 sons, a husband, and a male cat in the house), that kind of automatically makes her a princess. Because in our house the Queen is the one who supports the family, I suspect she will not grow up thinking Prince Charming is coming to whisk her away. This post brought tears to my overemotional pms-ing eyes. I love seeing how much happiness the Disney experience can bring to a child. So glad Thalia and Sage loved it and I cannot WAIT to get my kids to Disney when they are a little bit older and can remember it well. I love everything about Disney, being a princess for a few days included…but my favourite part of Disney is just feeling like a kid again. Thanks for posting this, Liz. We’ve been wanting to take our (almost) 4-year old to Disney, and I think she’s probably at the perfect age for it. 4 is a great age! She’ll love it. My mom has also made capes for them. They’re not always capes (I think one somehow became a bra…don’t ask) but they love them. …and now you know why I am insisting on seeing bway show ..b/c even if my boys’ want NBA, they need to know what else is out there. kind of like it is ok to dream of marrying a prince, it is ok to wish to be in the NBA but also know culture and go to Harvard (which is why I love Jeremy Lin). We took our kids (then 4 and 2) a couple of years ago. I was fully prepared for my daughter to pop a gasket when we went to the Magic Kingdom, but, honestly, she was WAY more jazzed about the Animal Kingdom. Sure, she talked about shaking hands with Tianna and Naveen for an entire day, but if you ask her now what she liked the most about the trip, she’ll say that she got to do the Safari in the Animal Kingdom not once but three times and that she wanted to permanently live in our suite in the All Star Music Resort. My son’s favorite part of the Magic Kingdom (well aside from the ginormous Micky Mouse head ice cream)? Meeting Cinderella’s fairy godmother. I feel like I have equal opportunity kids. They both like princesses and princes and aliens and Ponies and robots and fairies. They both have collections of both the boy and girl toys from McDonalds. And it’s all OK.
Oh, Animal Kingdom was great! Some people told me it would be boring but my kids got to see a lion roaring, a gorilla beating his chest, and pet goats for about an hour in the petting zoo area. Nice break from the mayhem of the other parks. Your kids sound cool Alyssa. Thanks for the post, Liz. I’m with you on the “not anti-princess, just pro-choice” sentiment. I guess what bugged me about them calling EVERY girl princess ALL THE TIME at Disney was that it imposed a choice on her. What if she wanted to be called cowgirl? Or fairy? Or Minnie Mouse? Or pirate? Or Chewbacca? The assumption that all girls want to be a princess contributes to the expectation that all girls look and act like a princess. Good point Annie. My kids would love to be called Chewbacca! But I’d imagine that 99% of the girls who go to Disney, do so because they’ve bought into the Disney “thang” – and that’s princesses, for better or for worse. I’m generally with you that the moniker contributes to the princess expectations, but at the very place where said princesses are manufactured and marketed for our viewing/shopping/capitalistic enjoyment, it’s expected and unsurprising. actually when H was dressed like a kitty one day while we were there, they called her a kitty all day – so my guess is they WOULD call them whatever they wanted, that’s just how Disney rolls..
Ha that’s cool! But you know, the theme of the Magic Kingdom is a KINGDOM. So it would make sense that language there revolves around royalty and kingdom-y stuff. Like princesses. I’d hope that at a dude ranch, the kids would be called cowboy and not princess. Though I think Sage would like to be both. Honestly, it didn’t bother me (nor thrill me) to be called “princess” while we were there. It’s part of the schtick, and I think it’s fairly safe for them to assume a large number of females choosing to go there are fans of princesses to some extent. Sort of like going to Medieval Times and being called “M’lord” or “M’lady”. Ha, I kind of liked that they called me m’lady at the Cinderella’s Castle lunch. I just imagined that I was at Downton Abbey. Disclosure #2 I consulted for Disney way back when Family.com needed to bring in that ‘blogger’ thing .. Here is the thing about DisneyWorld – it’s an escape. And that escape may include Princesses that look like some warped version of Toddlers and Tiaras and it may include a pirate- it also may include me in a wheelchair while my kids rode on the back and pretended we were on an adventure with Kim Possible. (Epcot is unreal that Japan gift shop my favorite – next to Morocco- and yes insane) but the point is you go and you make that memory Nate you know will never forget and you saw that jumping up and down you know won’t ever leave your head and you cry when the fireworks go off and you see their faces and for me… you pay the $200 because you just don’t care because everyone is so damn happy and excited and they have forgotten about every horrible part of their lives for just a tiny while. (longest run on sentence ever) …Maybe I have turned into one of those Disney freaks because when you find a place where you can escape regular life for awhile, you hold on to it with all you’ve got. Disney was/is that for us. There were no doctors. There were no iv poles. And my daughter, who is usually very ANTI-princess- was welcomed into that castle with her hair sprayed to the heavens and we ate lunch saying hi to each princess as she came over and took a photo even though the boy child didn’t want to but suddenly he did and well…sigh… what I’m saying is everyone does disney different but everyone seems to leave with the same sense of satisfaction that they spent time as a family in another world. It’s an experience and memories and you will never forget them- you just won’t. I kind of liked that they treated ME like a princess in my wheelchair, when in other places I was ignored. They can call me Princess anyday.. Thanks for that perspective Erin. I think that’s just awesome. I actually don’t think that everyone leaves with the same sense of satisfaction though. I know people who went and complained the whole time. I watched annoyed parents frustrated at every turn. I saw parents dragging their exhausted kids back to the park at 10PM to see those damn fireworks if it killed them. BUT I think you get out of it what you want out of it. And if you go–as you did–saying, this is my escape, this is my little corner of awesome…it will be the time of your life. I hope you’re treated like a princess in your wheelchair every day, by the way. Everyone else can screw themselves. I wish everyone would leave with that feeling. I really do. I need to write a post on how to ‘do Disney’ so you don’t have the cranky parents and exhausted kids and you can enjoy your family time. Maybe .. just maybe … our family perspective was skewed because of what we’ve been through. If you spend a lot of time in hospitals and doctor’s offices you think Disney is heaven. And maybe, just maybe, some families don’t have that in their mind when they walk in…I wish I could give that to them. SO BADLY. They get to hang out with their family in a place made for families and make memories – pool side, riding rides, seeing characters from tv come to life, escaping real life with school and appointments and homework. I guess it’s kind of like trying to push people into understand what they HAVE and why it’s so special. I want to take every family there and shake them and say .. LOOK AT WHAT YOU HAVE>>>ENJOY THIS PLEASE .. badly. and that can apply to everyone outside of Disney too. So when you are plopped in this magical place where you have every opportunity to make those memories… goddammit make ’em. So, so glad you had a great trip! Been looking forward to the debrief, so thanks! Kelley recently posted..Carpool: An Education. My un-princess tomboy is now a 13yo figure skater who wears sparkly dresses and make-up now while she performs heart-stopping daredevil stunts on the ice. And my princess-pink-pony girl is now a 10yo soccer jock. I didn’t do much of anything either way – either pushing pink or denying it – and they both sort of rose and fell and rose again to their own levels. The basement floor is filled with J-coolness and Miyazaki wonder . Between that and the manga, my girls spent the entire afternoon here. Thanks Josette, I haven’t been there! Of all the things in all the (Disney) World, the one that Nate was dying to buy was the original Totoro animation cell for $700 or something. Maybe during a year that we didn’t just sport for a WDW trip? How about a Queen Mum day at Disney for us older gals? I’ll forgo the sparkly nailpolish to be granted head of the line in Starbucks. Wonderful tale, of how to nicely balance a vacation trip for one’s kids, Thank you for sharing. I love this post! I have an 8-week old daughter and am already worried about the princess business, but we can’t wait to take her to Disney World. Now I have a little hope that by encouraging variety, the obsession can be avoided (along with the crazy bippity boppity boutique – Yikes!). 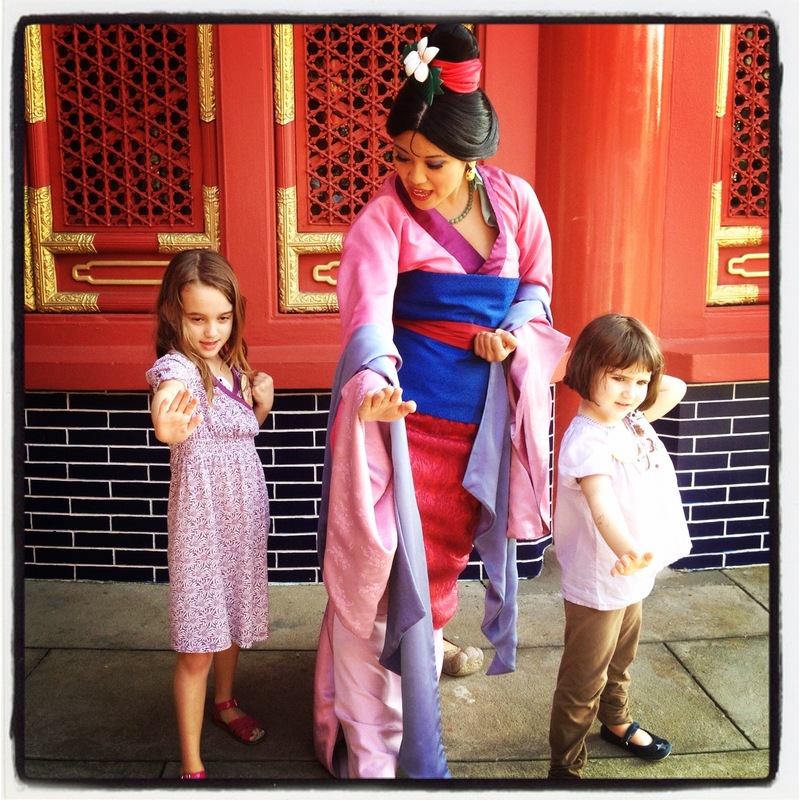 I’m so glad our advice helped with your trip and I TOTALLY agree with your comments about the princesses. I’ve said it before, and I’ll say it again – the princesses have not, nor will they, eat my daughter because I get to frame the conversation about princesses, princes, pirates, etc. So sometimes our daughter wants to be Aurora and sometimes she wants to be a Jedi Knight. As the mom of a boy and a girl, I’m always curious about the lack of conversation about male stereotypes – where’s the outrage about the makeup applied to my son’s face, transforming him into a bloodthirsty, pillaging, gun-toting pirate? (Not that I need to be yelled at for anything else). By the way – did you see any grown ups that received the “bippity bop pity” treatment? If you don’t think it’s a good look on a 6 year old, you can only imagine what it looks like on a 36 year old woman. I have a very not good picture in my head right now. it is so true that too much princess isn’t a great thing. BUT knowing that we can be a princess when we want, a queen when we decide, and always strong is what matters. if being a princess is a choice then im all for it! my daughter knows she can be a damsel in created distress or a princess but ultimately she decides who she wants to be. and thankfully it seems NO SHRINKING violet in our house. i believe being feminine and using our femininity in concert with our smarts is ok. can even be clever! and ive always LOVED ariel…but did think it odd she got married so young. Liz I adore you, you know I do, but I want to say one thing…my best friend has chronic fatigue syndrome. You can’t tell it by looking at her. But she was one of those people on a motorized scooter thing. It’s the only way she can take her four year old to Disney. I remember when she went last month and told me how many dirty looks she gets. Now I’m not saying you looked oddly at any of those people on the scooter. But you did call them able bodied and while some may be, it’s not always the case. My friend looks young and normal. You can’t tell by looking at her how much pain she’s in daily or how many zillions of prescribed meds she’s on. You’d never know that she was in so much physcial pain that she couldn’t get off her couch for three days after spending one day at Disney on a scooter. Anyway, I’m glad you all had fun. I always figure that the Princess thing is a phase. Both of mine went through it and then got over it pretty quickly. Good point Issa. Absolutely. And no, I’d never throw anyone a dirty look for being in a scooter. But there are some people in scooters who need to be, and others who don’t. I’ve seen message board forums that recommend renting one at Disney so that the guards will usher you to the front of lines. It really does hurt those people like your friend who truly need them. I get that fully. I really do. I’ve been there myself and seen people who I’m sure shouldn’t be in one…but how do we know? That was all I wanted to say. Randomly, I’ve never actually been to Disney World, only Disneyland, so I’ve never looked at message boards or posts on how to make it easier. Disneyland is pretty small in comparison I bet. 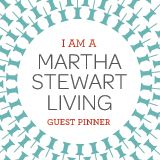 I followed a tweeted link to read your post on ‘partnerships’ (which I loved!) and then went on to read this… and I had to comment! As an Aussie, we are a looooong way from ever visiting Disney Land but I’ve questioned how my love of Disney movies combines with my annoyance at gender stereotyped toys and assumptions that girls should look pretty and get married… and this post helped me unravel some of my crazy ideas. Oh, this gives me hope. I’m getting ready to book our first Disney vacation in September, and I’m so glad to hear that someone normal took two girls and had fun. I can’t vouch for normal…but we did have fun!